I'm a cord cutter at home. No reason I shouldn't be while travelling too. I used to travel with an Android tablet that had an HDMI output. All I had to do was carry an extra cable and connect my tablet to a hotel TV to watch streaming services such as Hulu or Netflix. When I retired that tablet, I needed a new solution. I chose the Google Chromecast. Here's my first road report, using the Chromecast. TLDR: it works, but hotel WiFi is a problem. If you haven't seen it, the Chromecast is an inexpensive ($35) and awesome device that hangs (literally) off the HDMI port of your TV. Many Android apps have a "cast" option that will send the video from your Android device to the Chromecast. Even some web-embedded video players have this feature (which works with varying results, more in a sec). Typically, when a mail user agent submits a message for delivery, it authenticates to the server with a username and password. If you are using that server as a "smart host" for a workstation, the server needs to know that the workstation can be trusted. One way you can do that is by using an SSL cetficate on the workstation (client), and having the server accept mail based on that identity. This note illustrates how a postfix mail server can be configured to add support for SSL client certificates. The clientcerts file will list the fingerprints for the SSL client certificates that we want to trust. Next, search main.cf for all the smtpd_<whatever>_restrictions definitions that contain a permit_sasl_authenticated entry. Ensure that each one found also contains a permit_tls_clientcerts entry. How many "fucks!" and "goddamits!" does it take to change a light bulb? I don't find light bulb jokes as funny as I used to now that I have a home automation system. I just returned from a 10-day trip through Florida. We used Thrifty Car Rental, and their counter people put the really hard screws down on their toll service. The cost of the service is outrageous ($10.49/day) and they threaten you with even crazier charges ($25.00 plus charges for each toll both) if you choose not to take their program. There is a much more sensible choice that they won't tell you about. You can get a Florida Sun Pass portable transponder at numerous locations. I got mine at a Walgreens in Destin, FL. It was $20 plus tax. Once you purchase the transponder, you can register it online, place an initial balance in your account, and attach a credit card so your account replenishes automatically, as needed, as you drive. At the end of my trip, I was able to deactivate the transponder, close my account, and request a refund to be applied back to my card. Today has not been a good day for my smart home, and it points to a major flaw in the SmartThings product. When I walked out to the living area this evening, the motion sensor failed to illuminate the lights. I checked the SmartThings app on my phone. It said my home hub was inactive. Some users may be experiencing issues with Hub Connectivity. SmartThings is investigating and will update accordingly. Nov 26 update: See note at bottom, where I retract a bunch of stuff in this post. 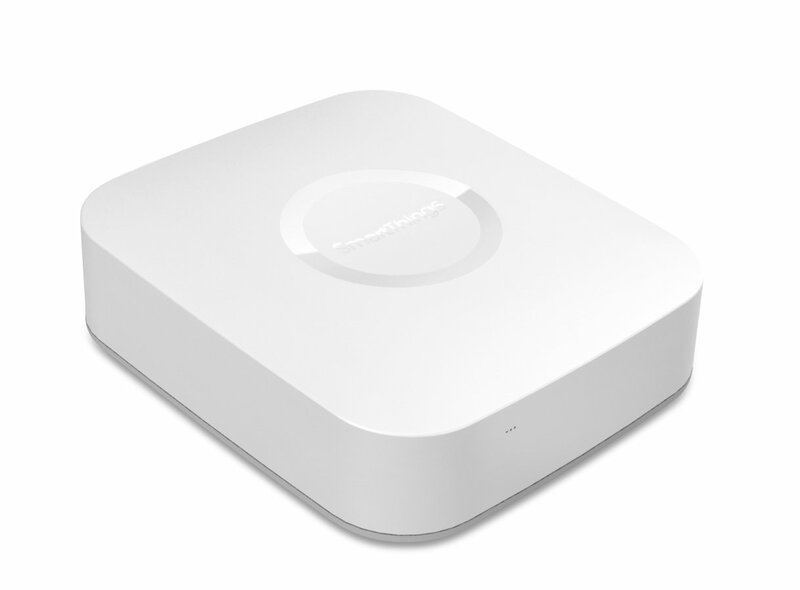 I've been playing with the Smartthings smart home hub. After two nights of hacking, I can see the great possibilities, but it's got some rough edges. The default state model provided is a poor fit. The system default provides three states: Home, Night, Away. I think what's really needed is four states, a 2x2 matrix of Home/Away and Day/Night. The lighting I want for Away at night is different than that for Away at day. I'm currently researching speech recognition for home automation projects. My primary requirement is that I want an open source package that runs locally in a Linux environment. "Runs locally" means a cloud based solution is not acceptable; I don't want random household chatter shipped off to the cloud. I thought the pocketsphinx package looked promising. It's available in the Ubuntu repos, so I could try it on my desktop before setting up an embedded testbed. Here's what I did to get it working. pocketsphinx-hmm-en-hub4wsj -- the "acoustic model"
pocketsphinx-lm-en-hub4 -- the "language model"
For voice input, I used the microphone in the Logitech Webcam Pro 9000 connected to my system. It's a USB device, and with my Linux sound setup gets routed to /dev/dsp. On March 27, 2014, I received a Distinguished Service Award from the City of Austin for twelve years of service on the Austin Community Technology and Telecommunications Commission. Here is the video, followed by my prepared text. Thank you for this recognition. I see this as a recognition not just for my personal efforts, but also for the accomplishments of the many groups I've had the good fortune to work with over the past ten years. I'd like to share this recognition with: all my fellow Community Tech and Telecom Commissioners, past and present; City Council and its Emerging Technology Committee members; Rondella Hawkins and her staff in the office of Telecommunications and Regulatory Affairs; the city's CTM and PIO departments; and the many groups who work so hard on behalf the community, such as Austin Free-Net, Channel Austin, Big Gig Austin, and Open Austin. I'm down at City Hall, waiting for the hearing on the city's FY2014 budget. Here are my notes on feedback I want to share with the City Council, regarding budget for some technology-related matters. My old HTC Evo 4G phone died week before last. I had to buy a new phone. I was tired of bumping up against the memory and processor limits of this phone, and swore my next phone had to be a quad-core processor phone. I was geeking along with everybody else with the new Google Nexus 4 phones just announced. There is a lot in these phones to be excited about, including the fact that they are being offered unlocked at a stunningly affordable price. And, yes, they are quad core processors. This content is licensed under a Creative Commons Attribution-Share Alike 3.0 United States License.